With today’s UPDATE, our first fundraising appeal of 2008, we remind you of what your generosity in the past has helped us achieve. Thank you for your continued support. The Washington Post for the 3rd time has editorialized in support of our call for an independent Mall Commission. Read the editorial with its concluding sentence endorsing the idea. But we are not waiting for government to act. As in the past, the National Coalition to Save Our Mall is moving forward with our own exciting ideas and programs for safeguarding the Mall and making it a better experience for all visitors. Although Congress declared a moratorium, that policy is not working, so we continue to monitor new projects and provide email UPDATES and alerts to our readers. We continue to educate the public about the Mall’s history and needs through free slide-illustrated presentations. Soon we’ll be completing a “Call to Action” report making the case—to a new Administration and Congress—that it’s time to create an independent Mall Commission to shape a long-range vision for the Mall and implement it. We’re busy developing new programs for the new nonprofit National Mall Conservancy, an offshoot of the National Coalition to Save Our Mall that is working to improve the visitor experience of the Mall. We are testing with a variety of groups—from schoolchildren to adults—a new tour that teaches American history and civics using the Mall’s monuments in new ways. This is the first of a proposed series of educational guided and self-guided tours to make the Mall more useful to visitors and teachers. 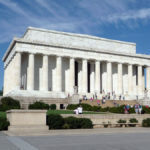 By the start of the new year, the National Mall Conservancy will put online a new website that will function as a “Virtual Mall Visitor Center”—the first-ever one-stop place to learn about what’s happening on the Mall, from cultural events to tours and recreation. Our National Mall map and historical guide, now in its third edition, continues to be a favorite in Congressional offices and tourist bureaus. Your financial support has helped us get to this point. We ask your continued support to keep the momentum going. Once again this year Roger and Vicki Sant and The Summit Fund of Washington have offered us a challenge grant that will double the value of your contribution. If you have questions, please feel free to contact me directly at [email protected] or 301-340-3938. The National Coalition to Save Our Mall is recognized by the I.R.S. as a nonprofit, 501c3 organization. Your contribution is tax-deductible to the full extent of the law.